February 21, 2018 – Tokyo, Japan - Car Hub facilitates its customers in every way and makes sure that their vehicles are delivered properly and on time. In compliance with a recent amendment to Jamaica’s Motor Vehicle Import Policy, all motor vehicles are now subject to a mandatory Pre-Shipment Inspection Certification (PSIC) before being imported to Jamaica. Car Hub Japan, a well-known auto trading company, exports fully certified cars through the official inspection body to Jamaica. The decision to mandate PSI certification was announced as a precautionary measure to ensure high quality and superior working condition of all vehicles shipped to Jamaica from any part of the world. Starting February 1st 2018, all vehicles shipped to Jamaica are required to be PSI certified to gain entry into the country. Car Hub Japan provides a facility to all its customers to have their vehicles inspected before shipping. The company ensures that all vehicles leaving for Jamaica have been thoroughly inspected and granted Pre-Shipment Inspection Certification by Autoterminal Japan Ltd. (ATJ), a well-known inspection company. ATJ provides the necessary services of inspection and certification to all cars leaving for Jamaican ports as per the standards mandated by regulatory authorities of Jamaica. With the convenience of having vehicles inspected and certified before shipping, importers buying from Car Hub Japan are simply required to pay the inspection charges (JPY 18,083) for receiving fully certified vehicles with the necessary certification documents. This service is established to provide ease of import to buyers as they don’t have to undergo complicated processes to attain a certification on their own. Apart from enjoying the facility of acquiring pre-inspected cars directly from the Jamaican port, customers importing cars to Jamaica can be assured of superior quality of their purchased vehicles. All pre-inspected vehicles meet the quality requirements and have undergone detailed safety checks to ensure high standards and functionality. Only the vehicles meeting the recently set standards of inspection in Jamaica will receive certification and authorization in Jamaica. Inspection certification is now a mandatory requirement for clearance of all imported vehicles in Jamaica. Car Hub Japan Co., Ltd. is a globally renowned Japanese auto-trading company with headquarters in Tokyo, Japan. 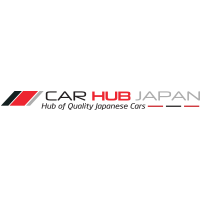 Car Hub Japan is known for providing clients across 120 countries with top of the line services of used Japanese vehicle purchase and shipping. Apart from assisting customers in the purchase of high quality used cars, Car Hub Japan also provides safe and speedy transportation services, flexible payment options, as well as inspection and certification services. Superior customer service and customer facilitation are the hallmarks of Car Hub Japan’s operations.